Eds note, April 3, 2015: This post inspired one that focuses on picture books. I'm pasting it at the end of this one. Earlier today I spoke with Ashley Strickland, a reporter from CNN, about young adult literature and American Indians. For that conversation, I pored over notes, books, articles, essays... trying to form some coherent thoughts on young adult literature and American Indians. Today's blog post is what I developed as I prepared for talking with her. An elder once told me the only way an Indian would make it on the news is if he or she were one of the 4Ds: drumming, dancing, drunk or dead. Skeptical of that thought, McCue did an analysis of news stories and found the elder's comment to be accurate. As I read his article, I thought about children's and young adult literature and the many books I've reviewed here on AICL that have those very things. Two examples? Fichera's Hooked (Harlequin Teen, 2013) and Cooper's Ghost Hawk (Margaret K. McElderry Books, 2013). Both have all of the 4Ds, but they also have another tired cliche: in their stories, White characters come to the rescue, saving the lives of key Native characters. At first glance, those four Ds aren't problematic. Native people drum. We dance. We have members of our nations that struggle with alcohol, and of course, we're human beings. We die, too. Those four D's are part of our lives, but too many authors sprinkle those Ds in their stories, decorating the story they tell, as if such decoration makes it a story about Native people. Those books get published because, for the most part, publishers want books that will sell. While those Ds are easily sold and easily consumed, stories like that aren't good for what-you-know about Indigenous people. There are, of course, some excellent books out there! If you find one of the four Ds in these stories, it will have the context and depth necessary for that D to be a meaningful part of the story. Here's seven of my favorite books. 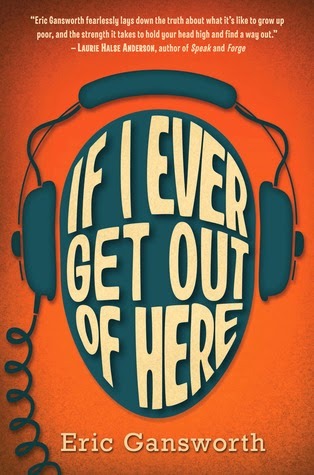 Eric Gansworth's If I Ever Get Out of Here (Scholastic, 2013) is amongst YALSA's 2014 list of Best Fiction for Young Adults. Set in 1975, the main character is a 7th grader named Lewis. He lives on the Tuscarora Reservation and is making his way through school. Author Cynthia Leitich Smith (I discuss her next) read and aptly described Gansworth's novel as "A heart-healing, mocs-on-the-ground story of music, family and friendship." 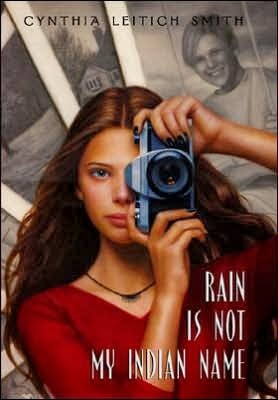 Upon the publication of her Rain Is Not My Indian Name (HarperCollins, 2001), Leitich Smith was selected as Writer of the Year, in the children's category, by the Wordcraft Circle of Native Writers and Storytellers. Cassidy Rain, the protagonist is of mixed ancestry but is a citizen of the Creek Nation. As you can see from the cover, she's into photography. But she's also into Star Trek! Having raised a daughter interested in photography and Star Trek (and Star Wars), this is precisely the kind of book I'd hand to her. Debby Edwardson is not Native, but she's been married to an Inupiaq man for a long time and knows what she's doing. Her book, My Name Is Not Easy (Marshall Cavendish, 2011) was a nominee for the prestigious National Book Award. Primarily set in the 1960s boarding schools, it is the story of Luke, an Inupiaq teen in high school. As Edwardson notes in the book, Luke is based on her husband and his experiences. Two of the novels I'm recommending are ones written for adults but that could easily be eligible for ALA's Alex Award ("books written for adults that have special appeal to young adults, ages 12 through 18"). In Louise Erdrich's The Round House (Harper Perennial, 2013), the protagonist in Erdrich's novel is Joe, an Ojibwe man who tells us a painful account. When he was 13, his mother was raped. At the core of Erdrich's story are the foundations of who we are as Indigenous peoples who persevere in the face of waves of adversity. Tim Tingle's House of Purple Cedar (Cinco Puntos Press, 2014) opens with Rose, a Choctaw girl in Oklahoma in the late 1800s, remembering when a boarding school for girls was set afire, killing Choctaw girls inside. The evil that lit that fire is personified in the sheriff, and the spirit and confidence in justice propels Rose and her community forward. Two of the books are by writers who are First Nations. The success of their books extends into other forms of media. 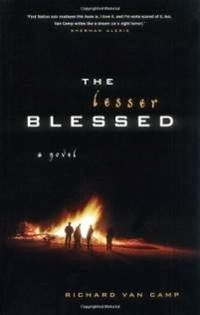 Richard Van Camp's The Lesser Blessed (Douglas & McIntyre, 1996) has been turned into a feature film. The story is about Larry, a 16-year old Dogrib who, with the help of Jed--his mother's boyfriend--and the stories he shares with Larry, makes it through some very dark spaces. There is breathtaking brutality, and brilliance, too, in Van Camp's stories. 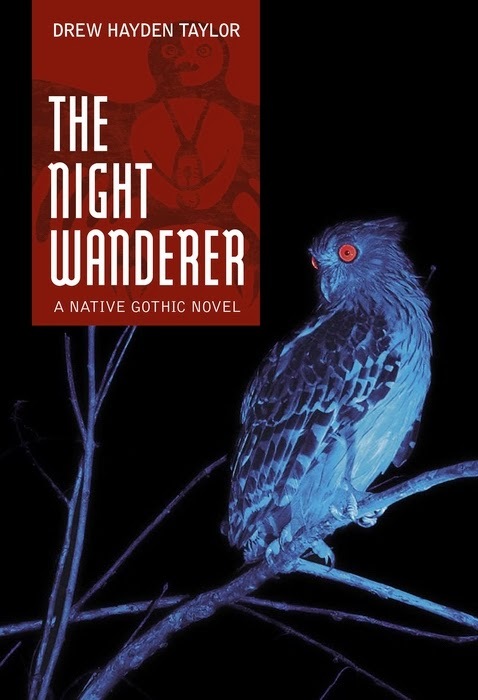 Drew Hayden Taylor's The Night Wanderer (Annick Press, 2007) is a contemporary story with a twist. There is a vampire in it. How that character became a vampire in the first place is gripping, but so is his plan to get home to his reserve in Canada. Taylor's protagonist is a 16 year old girl. Taylor's writing had me reluctant to glance out my windows at night! The Night Wanderer is now available as a graphic novel. Alexie's book is only one of many. you know about Indigenous people. Single stories, as Nigerian writer Chimamanda Ngozi Adichie says, are dangerous. Alexie gave us a story. One story that he's said is based on his own childhood. His is a particular kind of story, too, that won't appeal to every reader. We need books about young adults who are from other reservations and nations, too. There are over 500 federally recognized tribal nations! Within them, some of us are living on the reservation, and some of us are in urban areas and cities. We dance, and we drum, and some of us sing our traditional songs, but some of us like rock and roll, too. It doesn't make us any less Native. We are who we are. Don't let Alexie's book be the only one you read and recommend. Eds note: The following content is from a stand-alone post on April 3, 2015. 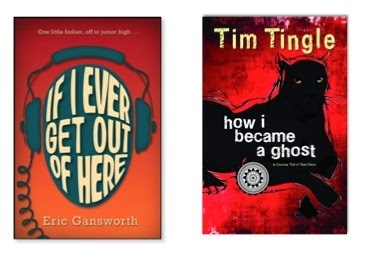 Last year, two outstanding books by Native authors were published: Eric Gansworth's If I Ever Get Out of Here and Tim Tingle's How I Became A Ghost. This morning, my CCBC-NET digest started with an email from KT Horning saying that those two books will be discussed this month. That email made me do a happy dance. I'm thrilled! If you're not subscribed to CCBC-NET, here's the link to do so: CCBC-NET.